This is the best knife I have ever had with the Horkos !! Quality, ergonomics, the blade are just perfect !!!! I'm never disappointed with the spartan blades. 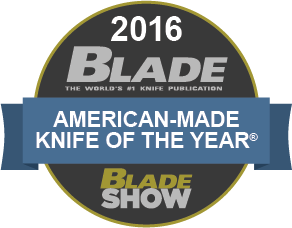 I already know where I will buy my next knife for me and my loved ones !! Thank you for your work of exellence! The best EDC folder I have found. We'll made solid knife. Blade opens with some effort but a thumb push and wrist flick works extremely well. I find it comfortable to use and carry on a daily basis and will alternate it with my zero tolerance knife. The fit and finish is top notch as expected in a blade of this cost. I am very happy with it and will buy other spartan blades in the future. I have had mine 7 months and still cannot open it one handed. sits in the bag in the box locked up. just a great knife. go to the blade show and see how Spartan spiff up and customize this blade. This is the last folder you will ever need to purchase! Solidly made knife that will last a very long time. It feels good in the hand and when you snap the blade in place, you know it's ready for business. Spartan Harsey Folder - You can tell from the pictures what this knife looks like. I can't yet tell you about it's use in hand or edge capabilities. I can speak to how it feels in my hand now. The lock-up is without wobble or waver, absolutely firm - feels like a fixed blade knife once locked open. The combination of jimping atop and scalloping of the handle below gives a very sure grip that will hold positively for forward thrusts. It is the most secure grip I've ever felt on a folding knife - very much like the Spartan Harsey Difensa, except in metal. There's a trick to one-hand opening, best done quickly, with a snap of the wrist, to ensure it opens to the lock. It's beautiful, simple, very well fitted. I think I'm going to like the blade shape very well. It's very well designed and executed. A wonderful knife to the hand, expect it to perform well over my lifetime. have both of these blades. black just sits in the box locked up. grippy, kool, awesome . As a military veteran the quality is outstanding!